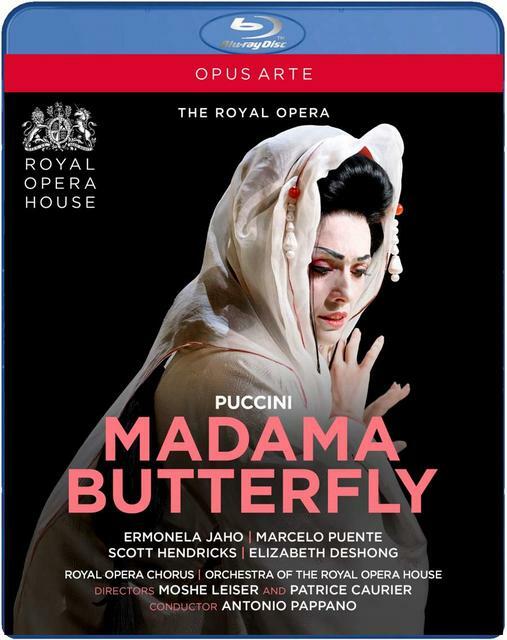 Thread: Which Blu-ray for Madama Butterfly? I am expecting the installation of a new audio/video system, and I would like to "christen" it with some nice blu ray opera. I am not a hard-core opera fan, but I have very much enjoyed those I have seen in person, e.g., "Salome" at the Staatsoper in Vienna, "Carmen" at a small venue in South Carolina. I have an especially nice recording, I think, of "Un bel di vedremo" from "Madama Butterfly". I wanted to get the latter opera, and I thought ordering from the NY Metropolitan Opera would be a safe bet, but they have three Blu-ray version. I have no idea which to get to maximize my enjoyment of the new A/V system. They have not responded to my inquiry. Director Vincent Boussard staged this 2012 Hamburg State Opera production of Giacomo Puccini’s Madama Butterfly, collaborating with fashion designer Christian Lacroix and set designer Vincent Lemaire for this stylish new production. Alexander Joel conducts a superb cast including soprano Alexia Voulgaridou, tenor Teodor Ilincai, and baritone Lauri Vasar. They also have a version of their own production on HD(DVD). I have a Blu-ray player, so not sure about its compatibility or relative quality. I am not sure I am ready for the many hours of Wagner's entire "Ring Cycle", but my brother, who works as a stage hand, recommended "Wagner's Dream" about the Met production as a start. I will be ordering that, as well. Comments, opinions, all feedback, in general, other suggestions sincerely appreciated. Can’t believe the quality of visual image on a Karajan recording on Blue Ray, will be any better than a more recently filmed DVD? For visual splendour I don’t think the above can be beat. Directed by an Oscar winner in conjunction with his Japanese Dancer wife. The result is truly splendid. Last edited by Belowpar; Nov-21-2018 at 09:29. The sound of this one is outstanding, singer are good. Thanks to all for the recommendations. Do keep them coming if you are so inspired, and don't feel limited in your suggestions. It turns out that the fellow doing my A/V work is an opera fan. He is looking to retire to the Santa Fe area where he owns some property and attends performances of the Santa Fe Opera whenever he is there. He had some suggestions of his own. He also told me of one of his customers who makes annual pilgrimages to experience the entire Ring cycle where ever it is being performed. All times are GMT +1. The current date and time is Apr-25-2019 12:03.